On Friday night, local authors (and their +1s) mixed and mingled on the building’s first floor, where glass display cases held hundreds of titles published during 2013. My daughter and I had fun playing find-my-books. This year, I released three major titles: The Hidden Deep [Zondervan, April 2013] and The Broken Window [Zondervan, August 2013], both under the name Christa Kinde, and Meadowsweet by C. J. Milbrandt [December 2013]. For titles only available as e-books, the library established three mounted tablets that rotated through book covers. We managed a quick snapshot with Meadowsweet on display. San Diego Public Library’s Local Author Exhibit will remain on display in the central library for the entire month of February, and an online exhibit will be ready soon. 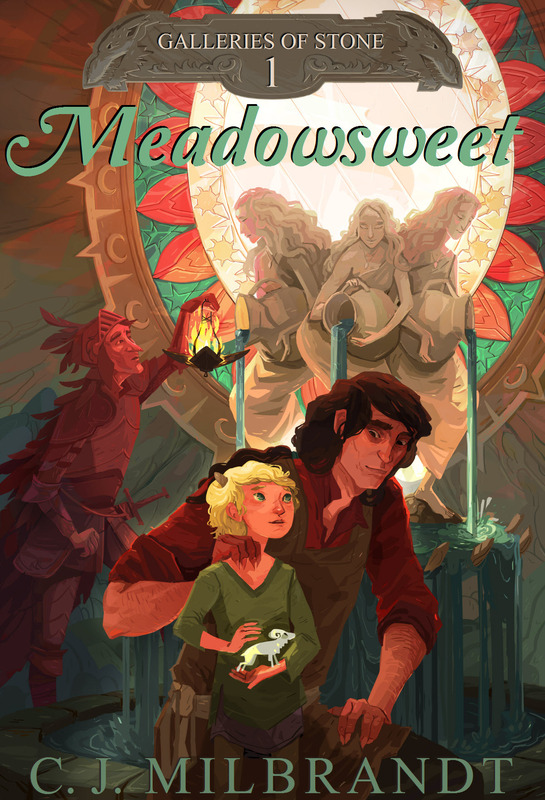 Edit: See a snapshot of the medal I received for Meadowsweet.